In April 2010 The Creative Studios Project was awarded a Civic Trust Award for projects that have made an outstanding contribution to the quality of the environment. 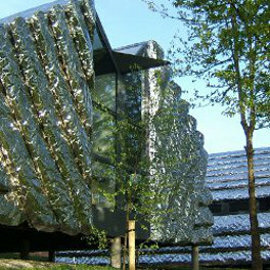 The Creative Studios were one of only 18 buildings in the UK and Ireland to receive a 2011 Civic Trust Award and the only building to be chosen from Wales. The Creative Studios have also been awarded a RIBA Award for buildings that have high architectural standards and make a substantial contribution to the local environment.